We are very excited to welcome the extremely talented and highly experienced hair stylist Raymond Robinson to the team. Raymond is joining the team in the role of Creative Director at our Takapuna hair salon and will be back in Auckland working in-salon from Tuesday 23 June. 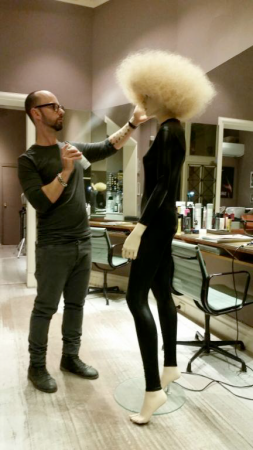 Raymond Robinson hails from Sydney where held a senior position at the fabulous Valonz salon working alongside one of our favourite stylists Renya Xydis. Raymond was a client on the books of Australia’s elite and renowned editorial hair & photographic agency DLM. Raymond brings 25 years of experience from the highest level of international runway experience having styled hair for Kenzo, Givenchy & Prada, Sass & Bide & Gorman and more to celebrities such as Miranda Otto, Rachel Griffiths, Jackie O, Cheryl Cole, Kelly Rowland and Sophie Monk with his editorial work being published in Harpers, Vogue, Italian & UK Grazia, Rouge and Instyle to name a few.